EXO Travel, Asia's leading Destination Management Company, has just unlocked the Raja Ampat Islands to travellers in search of truly unique destinations. Located in the furthest reaches of Indonesia's exotic far east, in West Papua, Raja Ampat is a series of islands famed for their remoteness, tropical beauty and unparalleled biological diversity. A big part of these island's allure is also the difficulty in getting there. It has always been just far enough out of reach to ensure that only well-heeled explorers, scientists or divers could go there. But times are changing. After the introduction of the archipelago's first direct commercial flights in December 2016, it has become more convenient than ever to get there, and for lovers of remote adventures and tropical places, there may be no better place in Asia. What was once either a multi-pronged journey or multi-day liveaboard cruise can now be done quite painlessly. This puts Raja Ampat in a sort of 'Goldilocks zone' of tourism. Although it's still relatively unheard of, even the most casual of travellers can get there with a bit of help from EXO. In light of Raja Ampat's newfound accessibility, we've created two tours that streamline the process of getting there while highlighting the island's incredible wonders. Our Stint in Raja Ampat (4 days, 3 nights) is the perfect add-on to tours in Java or Bali while our Raja Ampat Expedition is an immersive (7 days, 6 nights) journey by luxurious cruise boat through the island's most spectacular offerings. 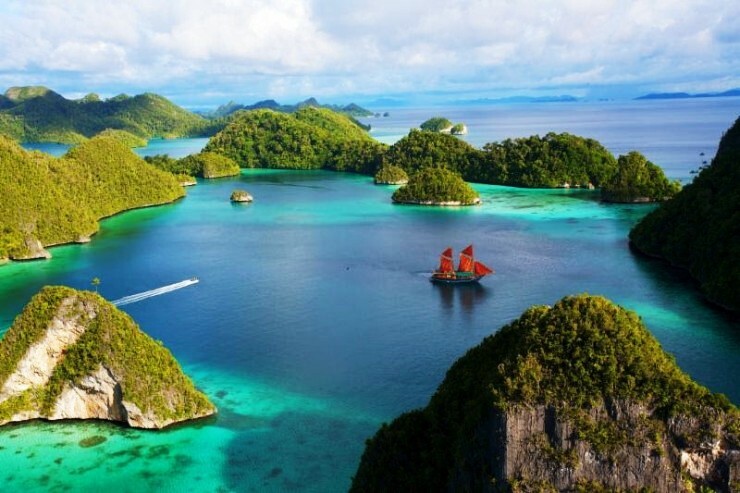 "With some of the richest variety of species in the world and an incredible marine life, Raja Ampat is a great destination to recommend to guests who are looking for exotic diving, bird watching or who simply want to relax in an unspoilt tropical paradise" says, Mr. Christian Byczek, Product Manager, EXO Travel Indonesia.